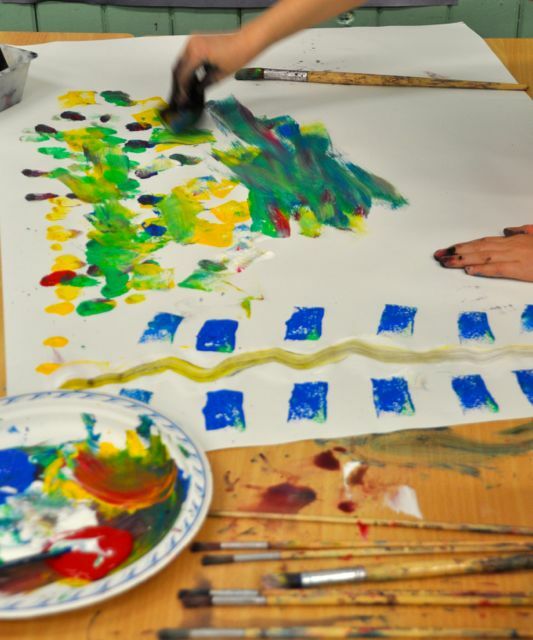 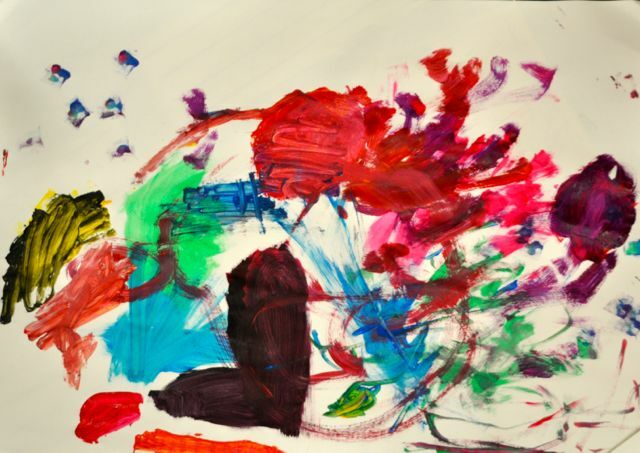 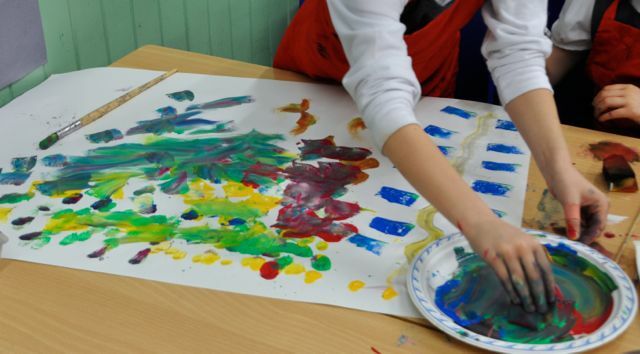 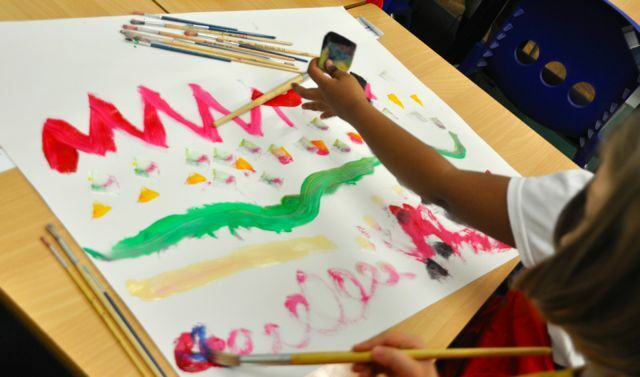 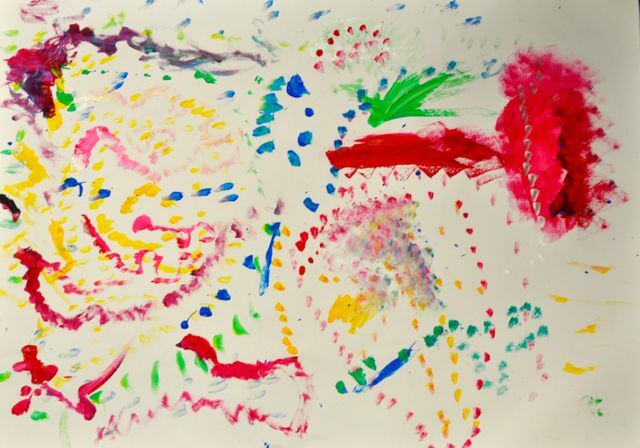 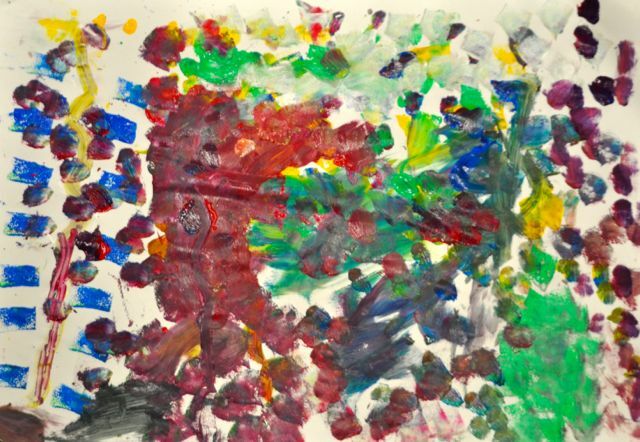 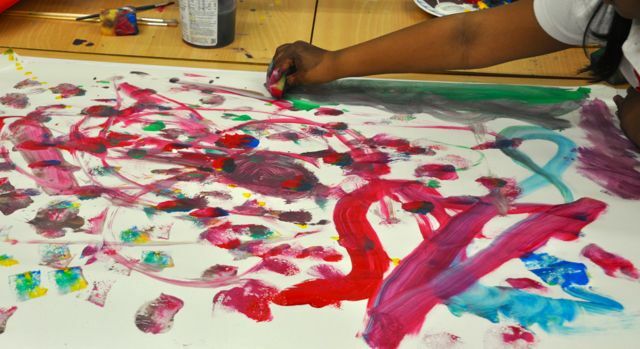 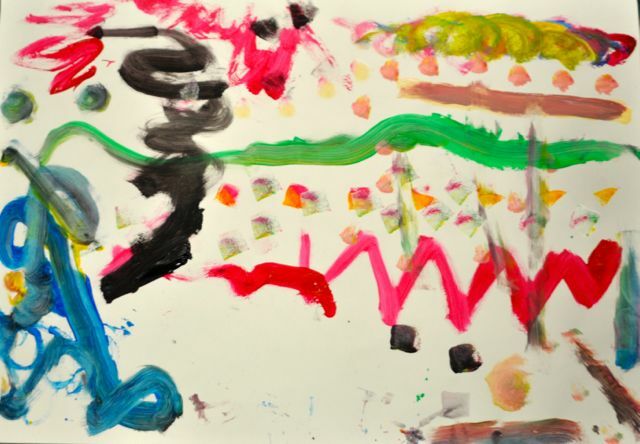 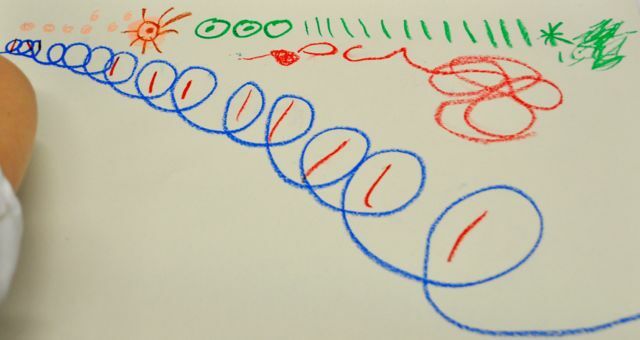 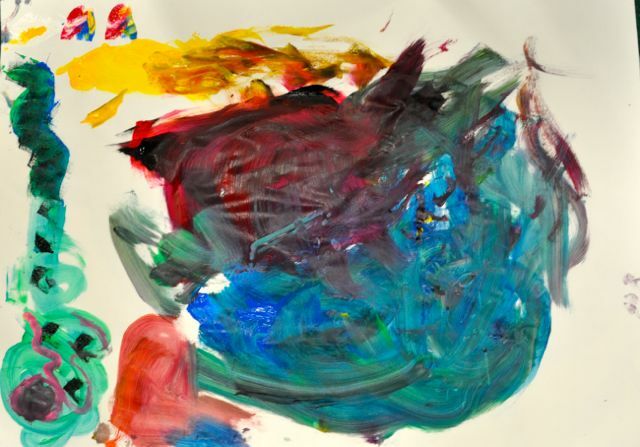 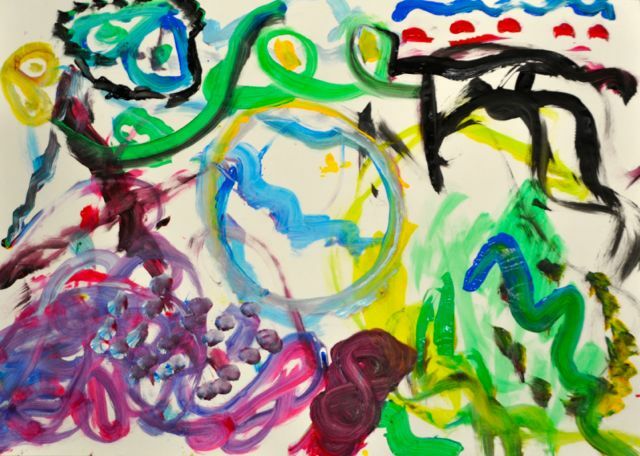 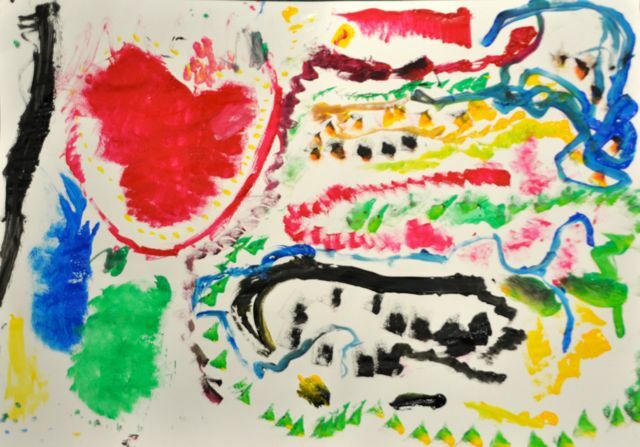 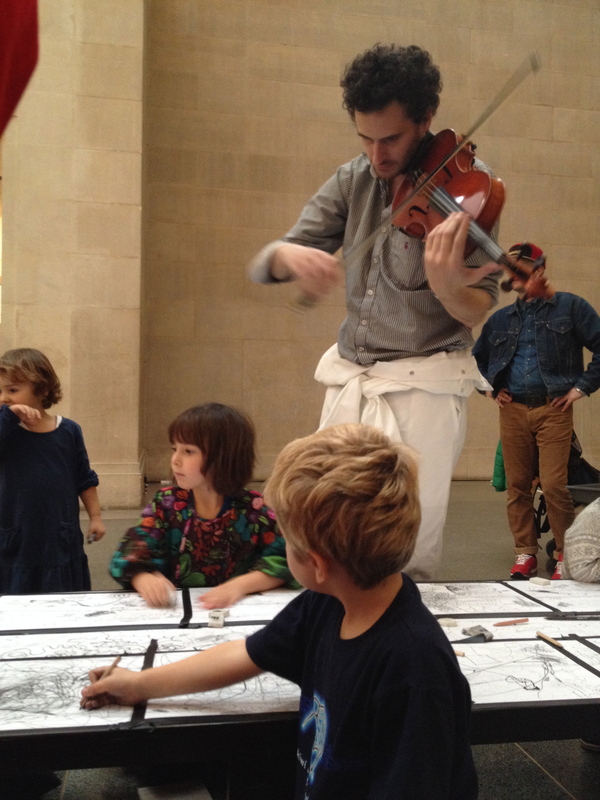 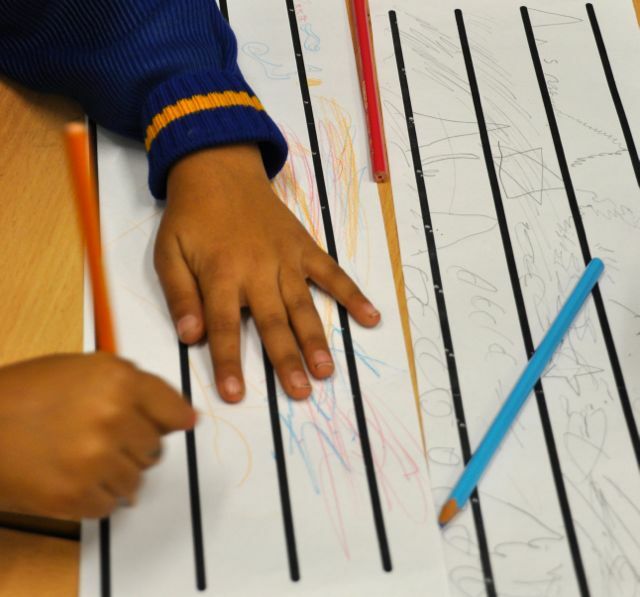 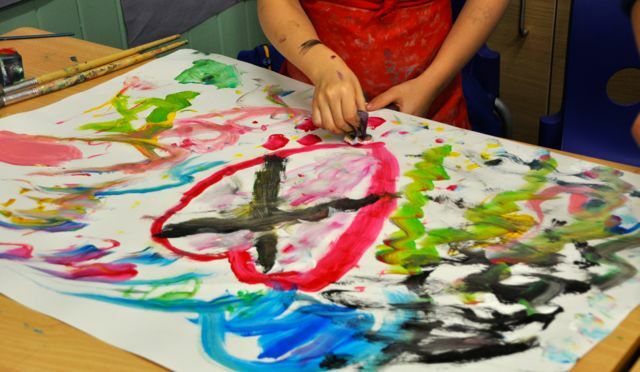 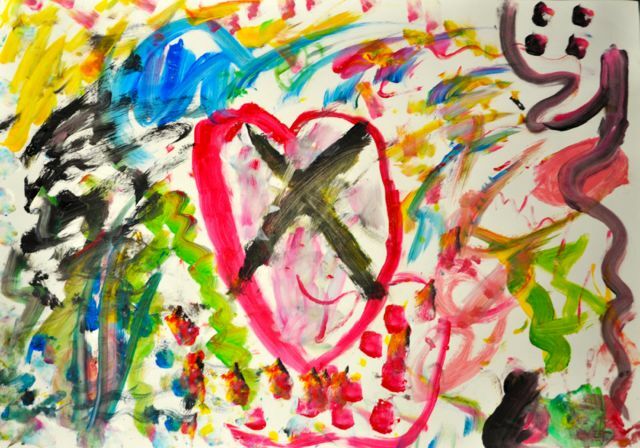 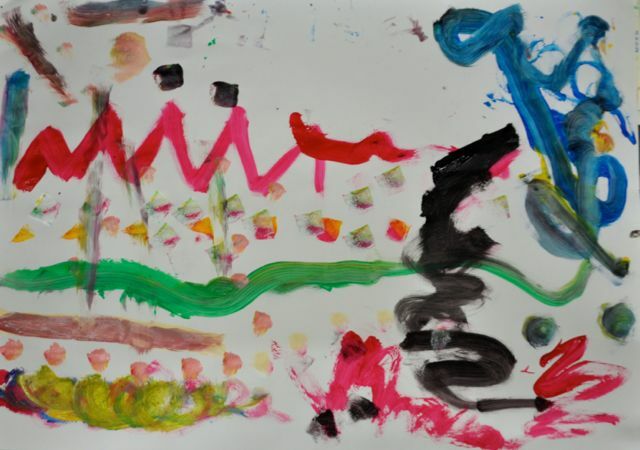 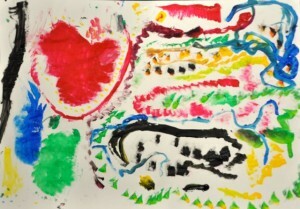 After taking my children to family events as part of Tate Britain’s Big and Small programme, I was inspired by composer Neil Luck and artist Dan Scott’s work for children that invites them to respond to music through mark making. 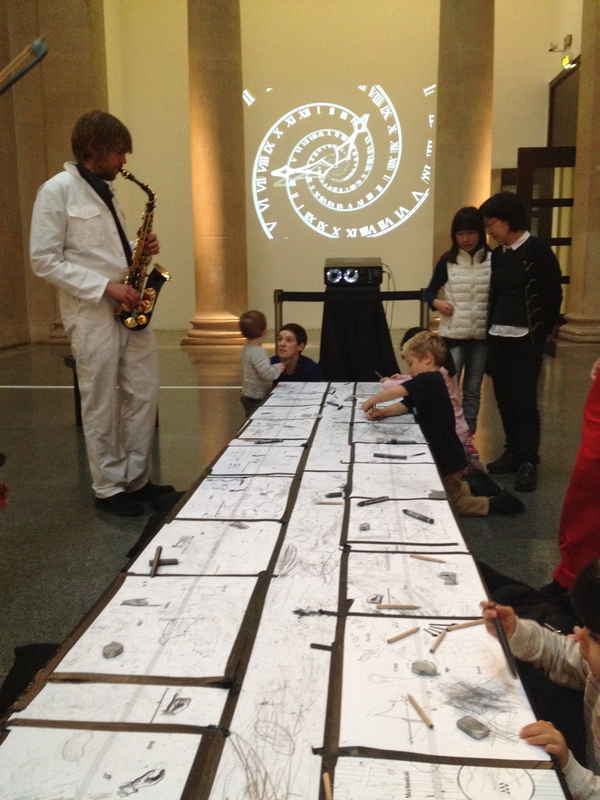 My son was totally engrossed by activities where musicians played music in response to his mark making and he in turn made marks in response to them. They were in conversation with each other with no words spoken. 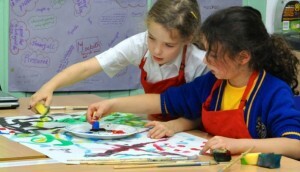 I worked with a similar principle with my after school art club at Merton Park School. We began by listening to pieces of music from BBC2′s 10 pieces campaign. 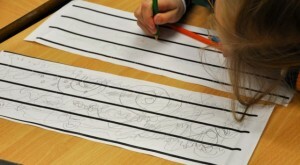 We used musical staves to make marks as we listened to different pieces, first in pencil. Then we added colour to see if this made a difference. 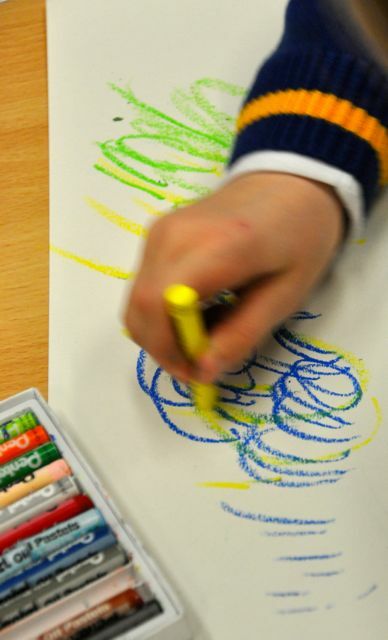 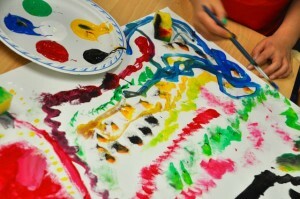 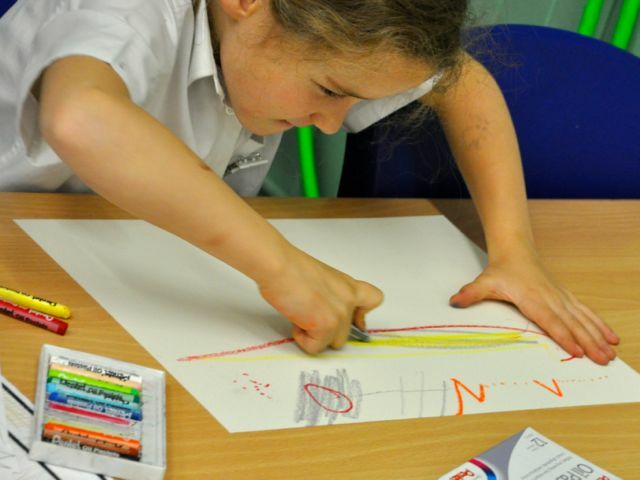 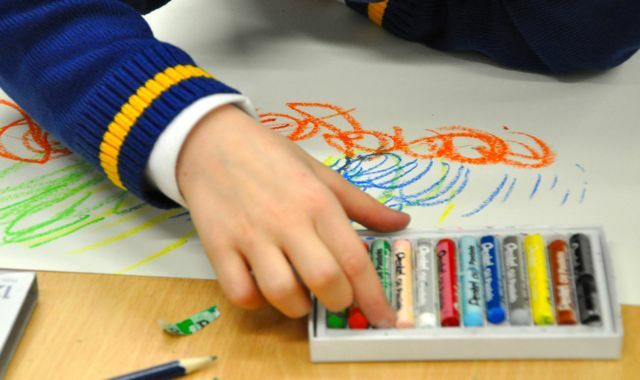 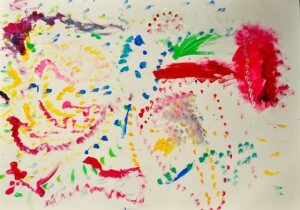 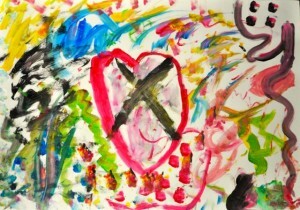 We then used a plain piece of paper and worked with oil pastels. 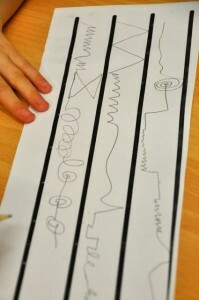 We were really getting into the music now and varying our marks with what we could hear. 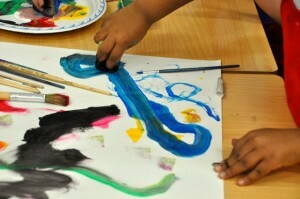 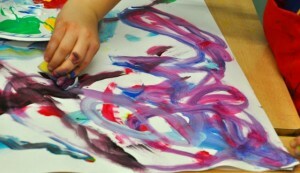 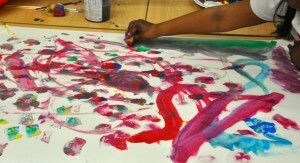 Finally we worked in pairs with large pieces of paper and paint, listening to music as we painted. We had to work quickly and intuitively. The final pieces reminded us of work by Kandinsky who also worked in conversation with music, likening his paintings to musical compositions.